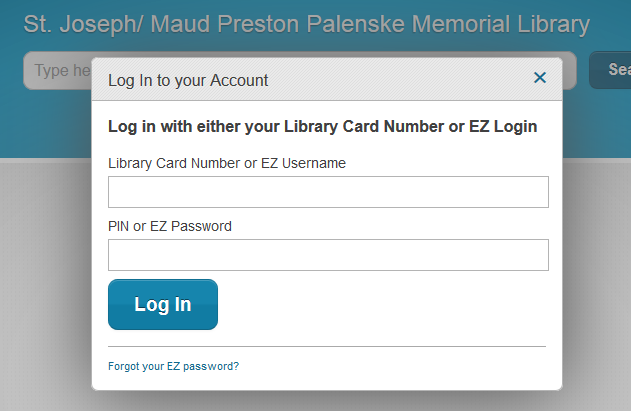 Your library card number is the number listed below the St. Joseph Public Library barcode on your card. It should be 13 or 14 digits long, starting with 0801 or 20801. Your PIN default is the last 4 digits of your barcode. Once you log in, you may change your PIN if you like. Once in your account, you may create an EZ Username and Password - something that may be easier for you to use to log-in to your account.